The New Zealand Chiropractors’ Association welcomes the recent wave of top ranking publications which have come out in favour of chiropractic as an option in the management of back pain. In its latest issue, The Lancet calls for improved training and support of primary care doctors and other professionals engaged in activity and lifestyle facilitation, such as chiropractors, which could minimise the use of unnecessary medical careandthe worldwide overuse of opiate drugs. A recent study in JAMA Network Openlooking at U.S. military personnel found that those who used chiropractic care — along with traditional medical care — had better pain relief outcomes than those who only sought out traditional medical care. Between 2012 and 2016, a research team evaluated chiropractic care on 750 active-duty U.S. military service members. The mean age of participants was 30.9 years old. The patients were put into two groups. One group received traditional medical care for back pain along with chiropractic care; the other group only received traditional care. 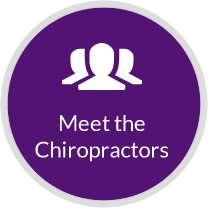 While traditional care can include medication, the chiropractic care included spinal adjustments along with adjunct manual therapies such as ice, heat, cryotherapy, and rehabilitative exercises. After six weeks, those who got both types of care reported moderately higher improvements in pain intensity and disability compared with those who only received traditional medical care. New Zealand’s chiropractors are taking the lead to inform, educate and inspire people to prevent pain and disability by improving their posture, addressing spinal problems and engaging in physical activity.